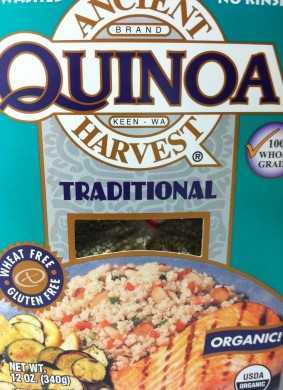 Quinoa is a rare plant food in that it contains a complete protein without needing to be combined with another grain. A great vegetarian meal option. It’s also delicious in its own bland way. I use it as a blank canvas, and prefer buying it organic. If I add it to stews or make it into a pilaf, my son doesn’t want to eat it because the individual grains look like little bugs with tails. Though he’s sensitive to textures and the way his food appears, I do have to agree. It isn’t pleasant to see those little critters floating around in my soup bowl like blow-up versions of microscopic organisms in a lab petri dish, now that he’s voiced this observation. Ew. 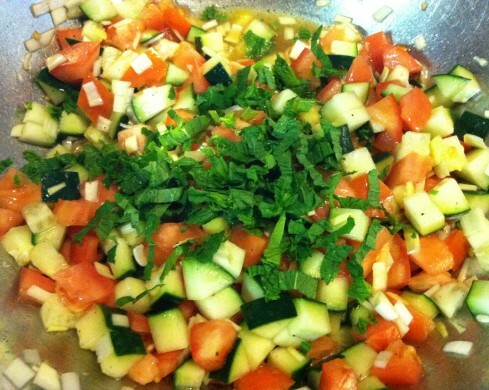 I do like to eat cooked quinoa cold with juicy tomatoes, cucumbers, and fresh mint. 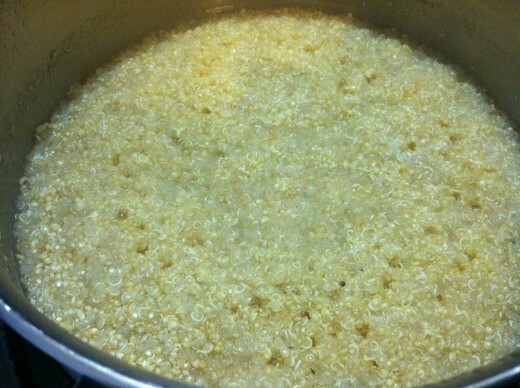 Substituting it for bulgar to make a toubleh is my favorite way to use quinoa. I prefer to use lemon juice but don’t always have lemons on hand, whereas there is always a box of quinoa in my pantry for last minute tabouleh. When I don’t have lemons I use apple cider vinegar to make my dressing. 1/2 cup onion, leek, spring onion. I alternate. Chill to cool completely. I put mine in the freezer and stir frequently to speed the process. And, yes, I have forgotten about it and ended up with a big bowl of quinoa sorbet. 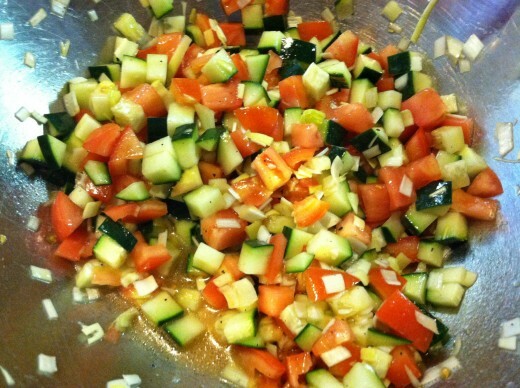 Cut the cucumber and tomatoes to medium dice. Mince the onions. Combine in a large mixing bowl. 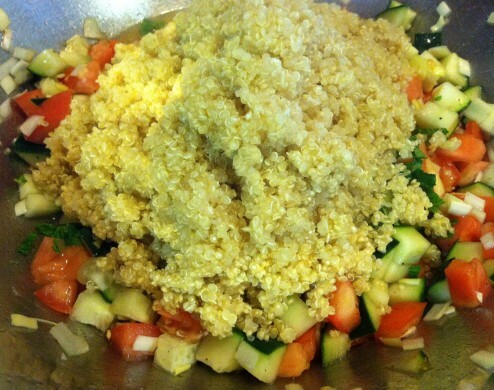 Add the remaining ingredients and chill while the quinoa is cooling. 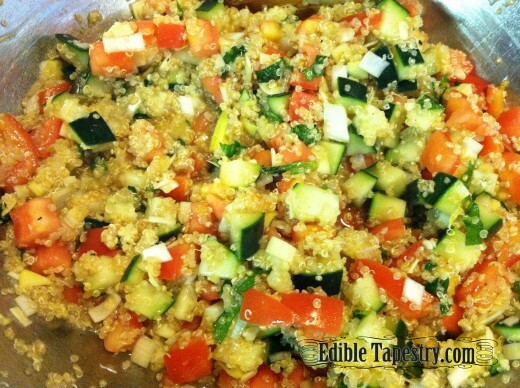 Combine the dressing and vegetables with the quinoa and toss to mix well. Chill for several hours to allow the flavors to meld and the quinoa to soak up the wonderful dressing and vegetable juices. Yield: Makes 6-10 side dish servings or 2 to 3 main course portions.